Una Vida Para Cristo: Sucre! What do a capital city, a crypt beneath a historic church, and paleontology have in common with a romantic adventure? No, it's not National Treasure, it's our anniversary trip to Sucre! 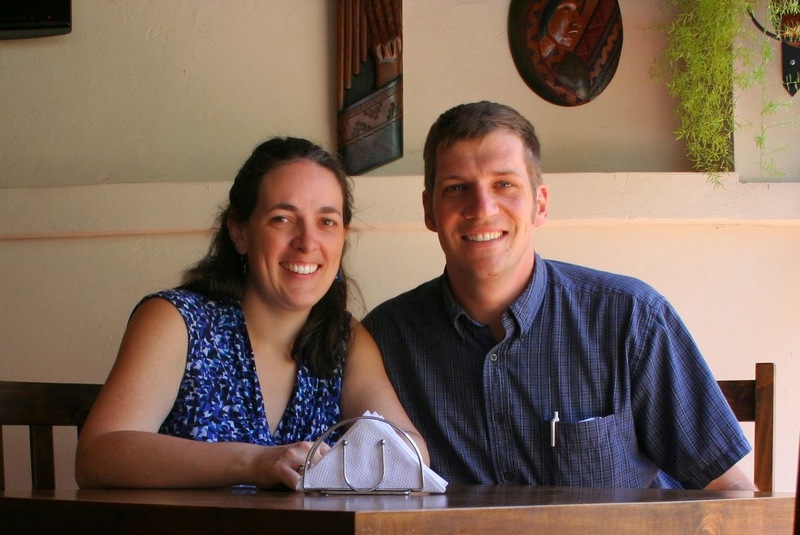 In December, Kaylee and I celebrated 10 years of marriage, so when my parents came to visit, we took the opportunity to celebrate by spending 3 days in Sucre, the capital city of Bolivia. It was a very fun trip, not only because of the time alone together, but because Sucre is a pretty amazing place. 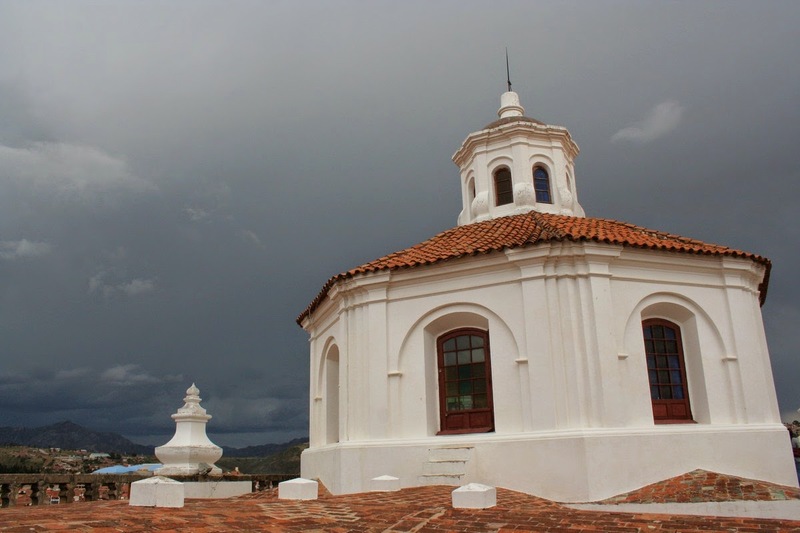 La Casa de La Libertad: "The House of Freedom" is where Bolivia's resistance government met and where the Declaration of Independence was signed in 1825, announcing their formal separation from Spain. Today it is a museum dedicated to Bolivia's political history. Plaza Principal: The Plaza 25 de Mayo is the physical and social center of the city. It is where you find the heads of both government and church. 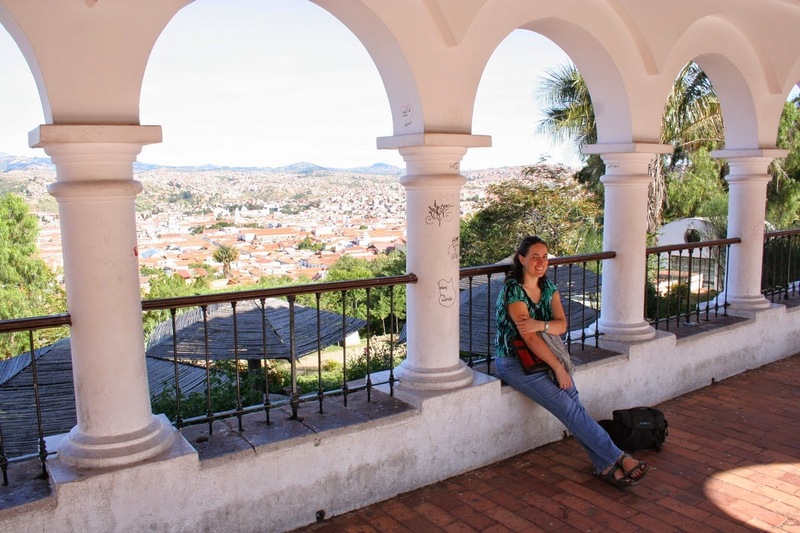 As in all Bolivia, the main plaza is also a place to meet people and spend time just being together. We made the most of that tradition! Hostal de Su Merced: Our hotel was conveniently situated just 3 blocks from the plaza in a colonial-era house that has been converted for guests. It came highly recommended on TripAdvisor.com and we were not disappointed. Perhaps the best feature was the terrace, which has an amazing view! La Recoleta: One morning, we took a walk up the hill east of the city center to the Iglesia de La Recoleta. It has a great overlook of the city and some fun architecture of its own. Dinosaur Tracks at Cal Ork'o: Supposedly one of the biggest paleontological sites in the world, Cal Ork'o is a set of fossilized dinosaur tracks found in a limestone mine. Because of tectonic movement, the tracks are now on a vertical rock face. Iglesia de La Merced: This church across the street from our hotel is one of the oldest building in the city. It has long been neglected, but they are now letting tourists in (at $1.50/person) to help cover the cost of renovation. We liked the old altarpieces and the organ! Iglesia de San Felipe Neri: This was my favorite building of all, I think. It is kitty-corner to our hotel and is just a massive, imposing structure. We got to see it from the crypt to the belfry! 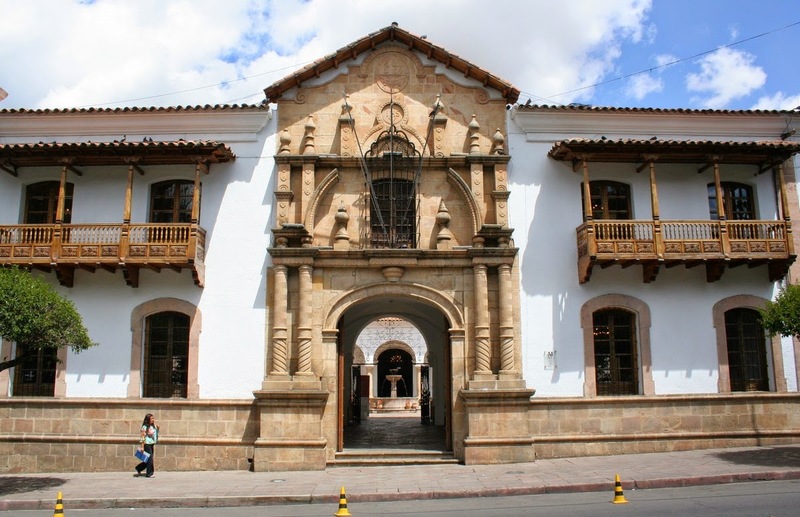 Supreme Court and Parque Bolivar: Although the administrative branch of the government resides in La Paz, the Supreme Court still convenes in Sucre. We didn't go in, but we wandered past and down through Parque Bolivar. Military Museum: The army headquarters maintains a museum that explains their not-so-glorious military history which features a sizable collection of historical weapons which I enjoyed. We also made an album of interesting doors and windows, of which there were many, and one of unusual vehicles.